This type of card is not really in my comfort zone, and maybe that's what attracted me to the sketch. 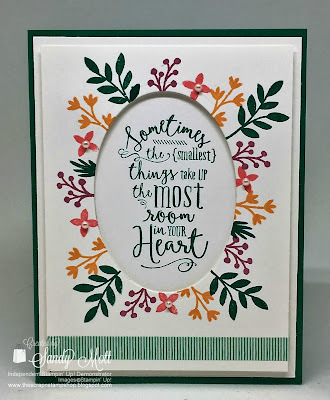 Every once in a while, it's good to go on a stamping adventure and do something different. 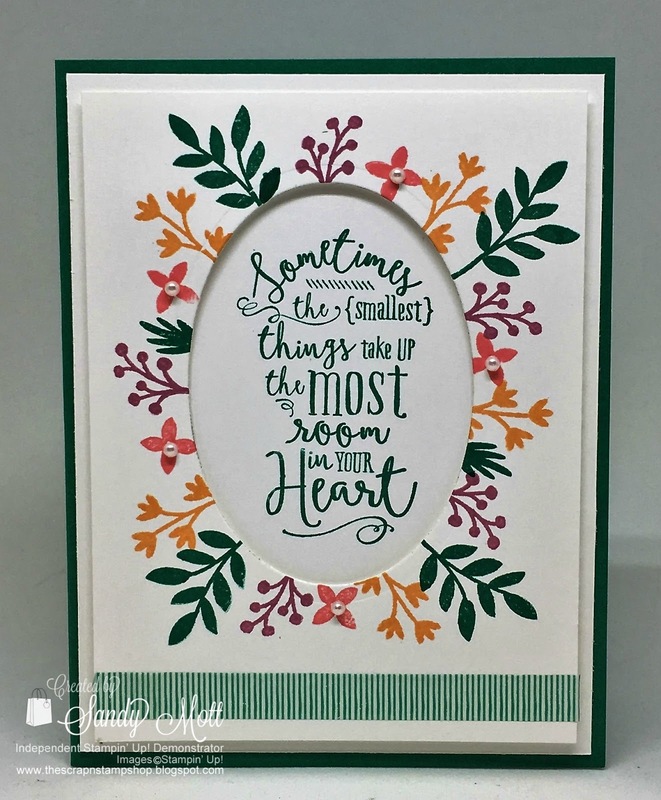 I used the Love & Affection stamp set and all the new in-colors. 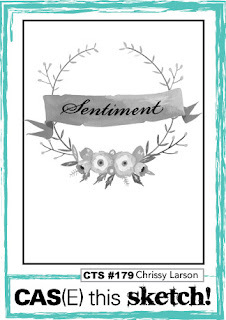 The sentiment is from the Layering Love stamp set (see the complete supply list below). The green stripe at the bottom is washi tape. I added tiny pearls to the little flowers. To see all the other entries in this Challenge, please go HERE. 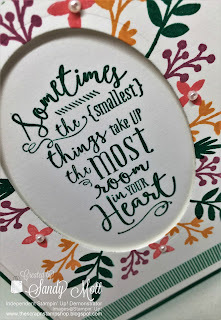 Stay tuned for the Creative Circle Design Team blog hop on July 7. It will feature the "Sara D." purse and it is so darn cute. This starts my second year being a Creative Circle designer. Oh, I love everything about this! Fabulous take on the sketch! Love the cutout! Totally unique take on the sketch!